That price matches an all-time low. A good keyboard is hard to find, so once you do find your perfect match, you'll want to use it for everything. 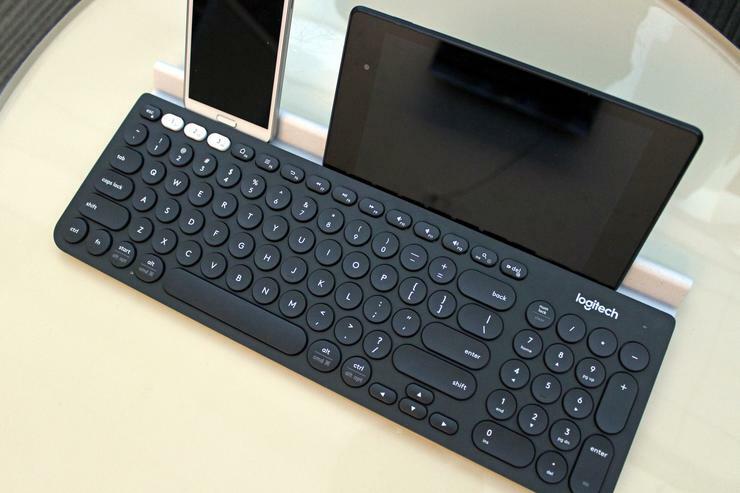 The Logitech K780 Multi-Device Wireless Keyboard fits the bill, seamlessly switching between your phone, tablet, and PC at the push of a button. And today, you can grab one for just $45 on AmazonRemove non-product link, down from a list price of $80 and matching the lowest price we've ever seen. This full-size keyboard works well with mobile devices, computers, and tablets and is compatible with all major operating systems. Even better, it can connect to three devices at once over Bluetooth, making switching a breeze. It will even prop up your phone and tablet using a built-in stand to keep your devices at a good working angle. Just note" the tray will be white on the discounted version that's on sale, but the keyboard will still be black, as you can see in the photo above. We gave this keyboard 4 stars out of 5, noting its broad compatibility, portability, and switching abilities as reasons to buy. And today's price makes it even more of a recommendation.